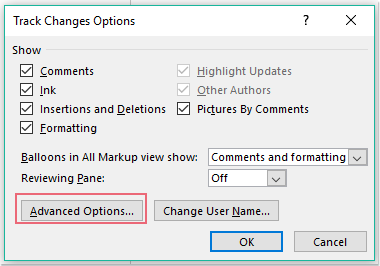 How to change comment color in Word document? 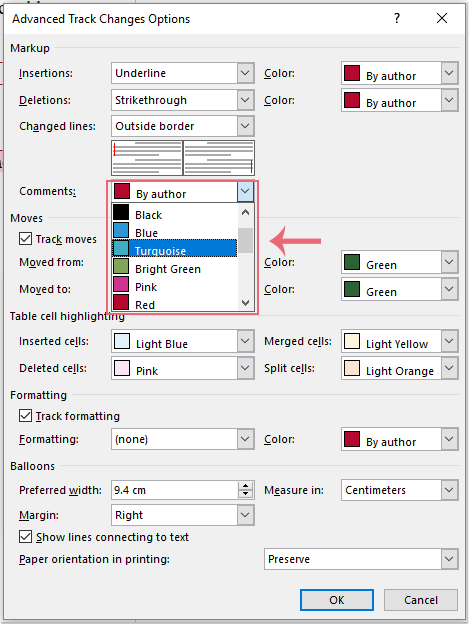 Have you ever tried to change color of the comment balloons or comment text contents in a Word document? 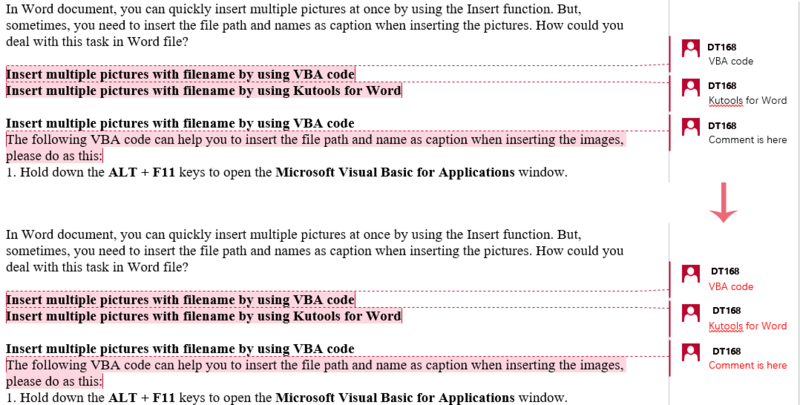 This article, I will talk about some method for dealing with this task in Word file. 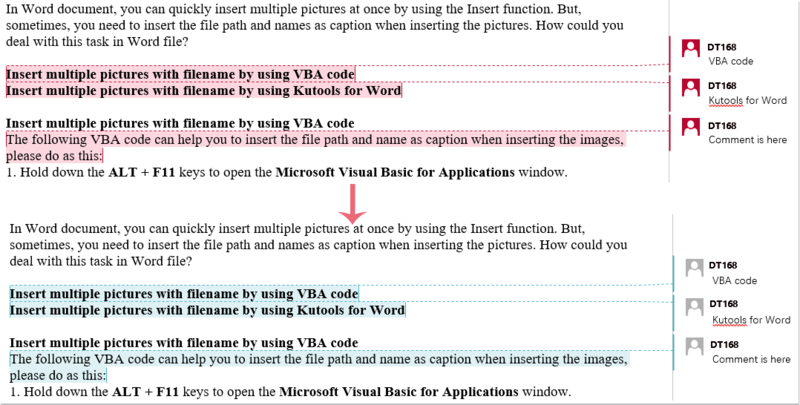 If you need to change the font color of the comment text, the following VBA code can do you a favor. 1. Hold down the ALT + F11 keys to open the Microsoft Visual Basic for Applications window. Note: In the above code, you can change the red color to your need in this script: xComm.Range.Font.Color = wdColorRed.